This month’s #sewmystyle has been a bit slow going for a lot of people. Me included! The project for March is the Virginia legging from Megan Nielsen. 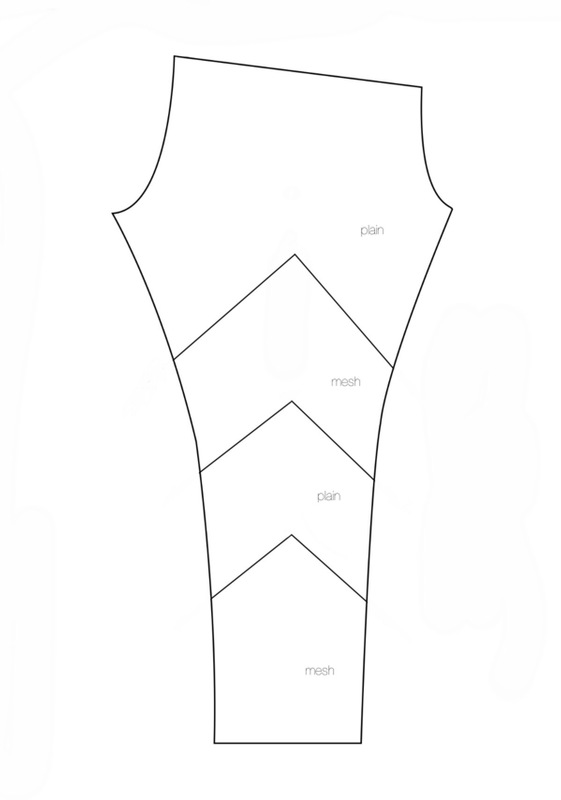 It’s a really basic pattern to make leggings either with a low waistband (suitable for maternity) or a natural waist. 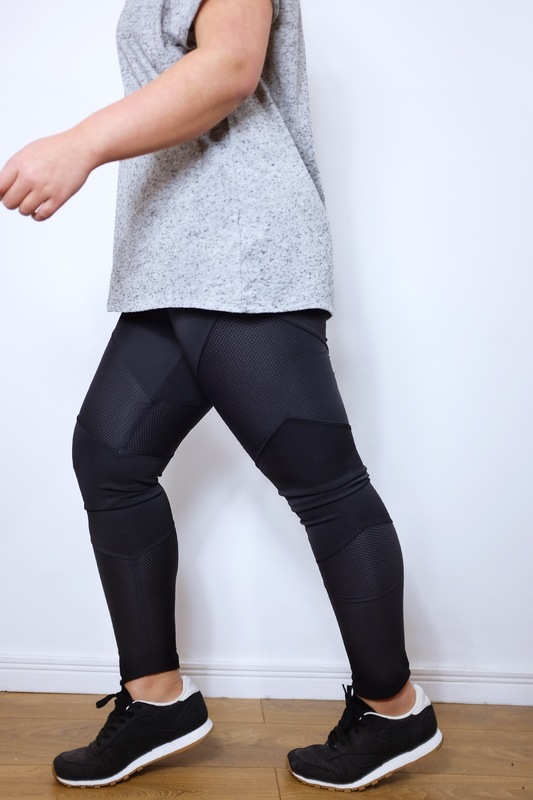 I finally got going on it thought after deciding to make a proper activewear style legging! After much deliberation, I opted to make a pair black Lycra leggings with angled mesh inserts down the legs that should be suitable for running (I hope!). Of course, with all the changes I made to the pattern to get the mesh in, what should have been a really quick and easy project seemed to take forever! I (rather arbitrarily) cut angled lines into the leg pattern to create 4 ‘arrow’ shaped pieces. I added on a 1cm seam allowance to each newly cut edge. I alternated cutting the pieces out of a black Lycra fabric and a Lycra mesh. Now came the tricky part – sewing it all together! The hard part was getting he pieces lined up properly to create a nice point that sits flat in the middle of the leg. I needed up using a combo of my regular machine and the overlocker to get them all sitting just right. That and a lot of ironing and steam! Once each leg was put to together it really was very quick to put the rest of it together. In fact it just takes 4 seams to sew it all up! I’m really happy with them! They look funky and feel so comfortable. The only thing I’d change for next time would be to raise the waist by 5 cm. I feel it’s a little low to really be on my natural waist. That might just be a problem for me though because my waist sits a bit higher than average! So I think I’ll definitely be making my leggings than buying them in future. I’m surprised at how much I enjoyed making these! Awesome idea for a pattern hack – the inserts make a great design feature here. I read this post just in time, as I snagged my gym leggings on a piece of wood yesterday and they are completely compromised. So I was contemplating active wear, but i wanted a fancier look than the regular cotton/spandes ones. Did you use the flatlock of just regular overlocking seam? Have you tried them on yet for running or other activities? Any rubbing/chaffing issues at the seamlines? I used an overlocker and then sewed the seams down with a zigzag stitch. I didn’t fancy trying to figure out how to flatlock – I have enough trouble just figuring out regular stitches and tension on my overlocker!